The film was made and released about forty years after its source novel "High-Rise" by J.G. Ballard had been first published in 1975. Dr. Laing's balcony has open air above it as it is protruding from the balconies of higher storeys. 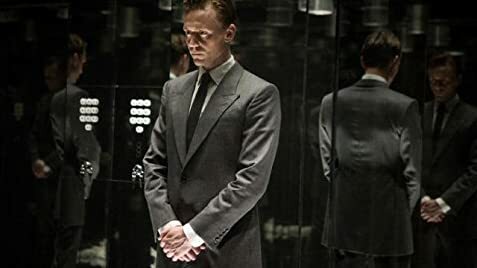 He lives on the 25th floor, but from the exterior pictures of the high rise you can see that only the highest 10 have balconies like that, so those would only start at the 30th floor.